When you choose an online bookie or a sportsbook to bet on horse racing you need to know and understand the horse betting odds. Most of the punters blindly stake their bet without having knowledge of horse racing odds. The amount you can potentially win on any bet is based on two factors – the stake and the odds. The size of the stake is up to you, and as any winnings you get are multiplied by your stake you stand to win more the higher the amount bet. The odds, however, are controlled by the bookmaker and can change as a particular race gets closer. As a new player you should know that short odds mean the horse is more likely to win whereas long odds are much riskier but with a higher payoff if the horse does win. So as how to use the odds to work out probability is you should know. Ladbrokes site insights on this subjects and here is what the site recommends you as how you can find out how to read horse betting odds and how, using a simple formula, you can work out the probability of all your bets. Most of the gambling or online bookies sites are UK based sites and express the horse racing betting odds as numbers separated by a forward slash, such as ‘3/1’, ‘9/2’, ‘13/8’, ‘100/1’, etc. Where the odds are X/1 it is fairly easy to work out the horse’s chances and the returns on the bet. Remember that all winning bets also return your original stake. So, a 3/1 $10 bet will pay out $40 in total if it wins: 3 + 1 =4 and 4 x 10 = 40. Where the second number is greater than one a formula is required to calculate the returns. Where the odds are X/Y, the formula goes: X + Y / Y. This figure is then multiplied by the stake to work out the returns. 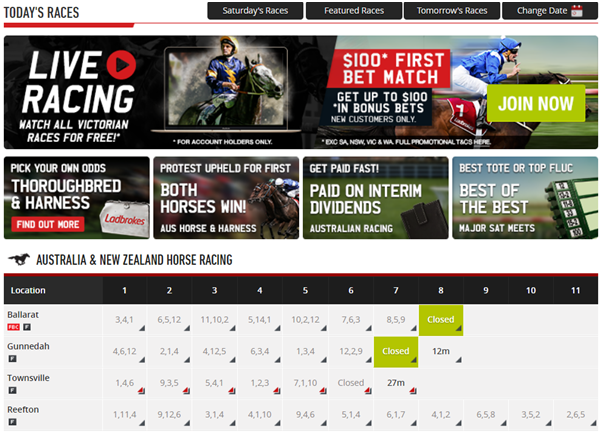 Suppose a bettor makes a selection and places a $10 bet to win on a horse at odds of 13/8. To calculate his returns, he adds together 13 and 8 then divides the answer by 8, before multiplying the answer by his stake, which is 10. So, 13 + 8 = 21. Divide 21 by 8 to get 2.625, then multiply by 10. The total returns on this bet should the horse win are $26.25. To work out probability, another formula is used. Where the odds are expressed as X/Y, the formula goes: X + Y = Z, Y / Z x 100 = probability. So, to find out the probability of a 7/2 bet you add together the 7 and the 2, giving you 9. You then divide the 2 by 9 to get 0.222. Multiply this by 100 and you have 22, or a probability of 22%. In each-way betting, bettors are able to make a selection based on the horse not just winning but also placing – essentially, two equal bets with half on the win at full odds and the other half on the place at fractional odds. These are usually 1/4 or 1/5, and are decided by the bookmakers before the race. A $10 each-way bet therefore costs $20, with $10 to win and $10 to place. If the horse wins, both bets are paid out. If the horse places, the $10 bet to win is lost and the $10 place bet is paid out at the fraction decided – at 16/1 with quarter odds, therefore, a $20 bet pays out $50 for a place or $220 for a win. Understanding how odds and probability are calculated will help you make informed decisions about which horse to back, and how much you can afford to stake. 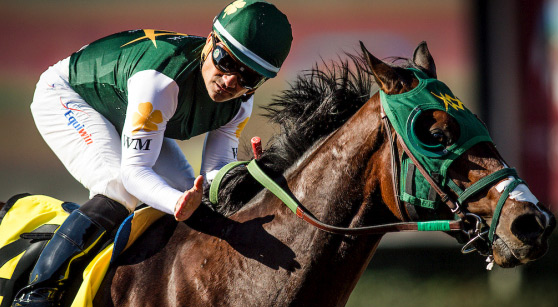 Keep these calculations in mind, and you will give yourself the best chance of picking a horse that seems likely to win, while still keeping responsible betting in mind. There are a number of factors that get taken into consideration when bookmakers compile odds for a horse race and each bookmaker or betting site will usually have a team of odds compilers working to set the right prices. There are a wide variety of factors that can affect the odds on a horse race, and the odds compilers spend time gathering all the available information before setting the early price. This price may then fluctuate up to the start of the race, when the ‘starting price’ becomes fixed. 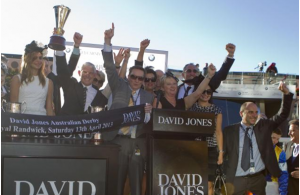 Odds compilers will generally get feedback or help from a number of other people such as form experts, private handicappers and gallop watchers situated at the various stables. They will also take into account factors which might affect the amount of support a particular selection, such as whether the jockey or trainer is particularly popular or successful at present. Once all this data has been compiled, the bookmaker decides what profit margin they want to operate to. This is also known as over-rounding. This is built into the odds by shortening some or all of the prices, worked out based on the determined chances of the runner in order to help ensure the bookmakers make a profit. Competition keeps bookies from over-rounding too much – those who continually have higher prices than their contemporaries soon find that the bettors are heading elsewhere. The amount of information a bookmaker can gather has an effect on how the odds are set. For example, in a race where the horses are all well known, form can be effectively judged so even in a race that is likely to attract lots of bets and some substantial ones the bookmakers can be fairly confident that they have correctly set the prices. In this circumstance even a few substantial bets prior to the race would not have a drastic effect on price, and therefore the over-rounding will be relatively small. However, in a race of the same size and length but featuring relatively unknown horses – such as a maiden – things are different. Not only does the bookie have little or no form to go on, but they can’t even judge how people are likely to bet. In this case the over-round percentage will likely be set much higher, as any substantial bets on horses with longer odds will affect the pricing. Whether betting at the racetrack, online or in the betting shop, it pays to shop around and get the best odds for your bet. They won’t vary dramatically from bookie to bookie, but 10-1 still pays out more than 9-1. Now choose your online sportsbookie and place your horse racing wager with ease.